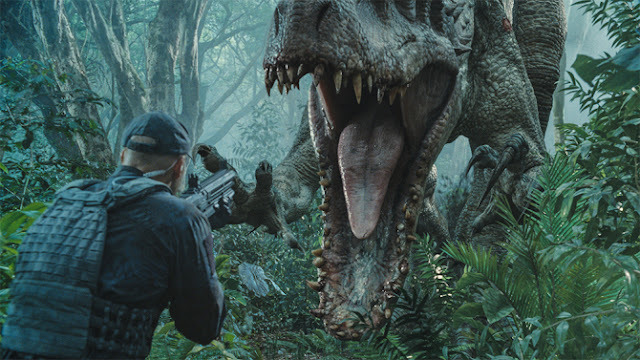 Here at ChiIL Mama, my son and I were some of the record breaking crowds to see “Jurassic World” on opening weekend. The film now holds the record for the biggest North American opening in movie history raking in $208.8 million! And it's acclaim is justified. We splurged and saw it in IMAX 3D and I'm glad we did. Prior to this, another of our super favs, “Marvel’s the Avengers”, was the previous record holder at $207.4 million. It's also sparked some creative spin offs like this cute parody that hit our in box via our friends at DreamWorksTV. Check it out below. Some kids mow lawns…others build lemonade stands…but eight year-old John Hammond built a park… a Jurassic Dog Park. 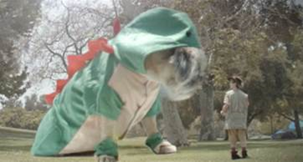 When Hammond and his scientists create a hybrid dino-dog, things get “ruff” for park employees and visitors alike. Can the ferocious (and adorable) animals be tamed with chew toys, sticks and dog treats? You have to watch this “Jurassic Bark” parody by DreamWorksTV (www.YouTube.com/DreamWorksTV) to find out! DreamWorksTV is the ultimate lifestyle channel for kids and families. Combining DreamWorks Animations’ expertise as a global family entertainment brand with the digital savvy of AwesomenessTV, viewers now have on-demand access to content produced just for them. Helmed by AwesomenessTV’s Brian Robbins, DreamWorksTV showcases laugh-out-loud and family-friendly programming, including animated web series featuring DreamWorks fan favorites, Shrek and Donkey, Puss in Boots, Po and more. Plus, original live-action series, kids Comedy, DIY videos and handpicked music are all accessible through any device at any time. Visit DreamWorksTV at www.YouTube.com/DreamWorksTV, “like” them on Facebook using keyword “DreamWorksTV” and follow them on Twitter @DreamWorksTV.